Beverly A. Patton holds a unique position as musical director for Penn State Opera Theatre in the School of Music, and a musical theatre singing specialist for the School of Theatre's Bachelor of Fine Arts degree in Musical Theatre degree. Her joint appointment is a result of years of training as a singer, conductor and vocal coach in both the classical and musical theatre worlds. 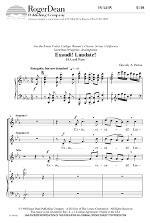 With over 50 musicals and operas to her credit some of her favorite productions include Ragtime, Falsettoland, 1776, A Man of No Importance, La Bohème, Dialogues of the Carmelites, Pirates of Penzance, The Merry Wives of Windsor, and Leonard Bernstein's MASS. A frequent masterclass teacher, she collaborates with her colleagues Mary Saunders-Barton, Raymond Sage, and Norman Spivey to present the bi-annual workshop Bel Canto/Can Belto, designed for voice teachers who wish to increase their knowledge of musical theatre singing, repertoire and belt technique. Patton received her bachelor's degree in music education from Michigan State University, a Master of Arts degree in vocal performance from California State University-Chico, and a doctorate in choral conducting from the University of Southern California where she studied with Rodney Eichenberger. In addition, she received an Instrumental Conducting Fellowship to the Aspen Music School where she studied with Murray Sidlin. 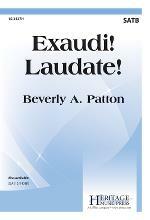 A choral composer, Patton wrote “Exaudi Laudate!” for treble choir (Roger Dean Publishing) in 1998 and a mixed choir arrangement of that composition in 2016. 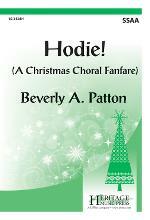 Heritage will release “Hodie!,” composed for four-part treble choir, in 2017. Formerly the director of opera and musical theatre at Ithaca College, Patton has also taught at the University of California-Irvine and Irvine Valley College. She is a member of the National Opera Association (formerly serving as regional governor of the Northeast Division), the Musical Theatre Education Association (MTEA) and the National Association of Teachers of Singing (NATS).